I am now happy to offer *Bundling* as an additional service on a variety of products. This is especially helpful for EDDM customers ! Bundling is available in bundles of 50 and 100 and offers the convenience of sorting print orders into predetermined quantities for ease of use & most helpful for EDDM preparation. Bundling available on sizes listed below. *More card sizes available for direct mail; however, these are the sizes that are offered with the convenient bundling option. To learn more about EDDM (Every Door Direct Mail), please continue reading below under category 2. Other sizes & products may be bundled upon request. Check with me for availability. Since direct mail service presorts your mail into zones and properly addresses the printed piece without a label or stamp, the USPS is nice enough to reduce the costs for you. To summarize, this saves you money in postage cost, saves you much handling time, while streamlining the entire process so your information makes it into mailboxes much faster. Mail to a list of addresses you have on file (or one I may have on file) or a mailing list you purchased online (zip code/specific demographics, etc). The printed pieces are presorted straight off the press, printed on (address, barcode, & postage indicia), quickly pre-sorted, and promptly delivered to Post Office (PO) for you. 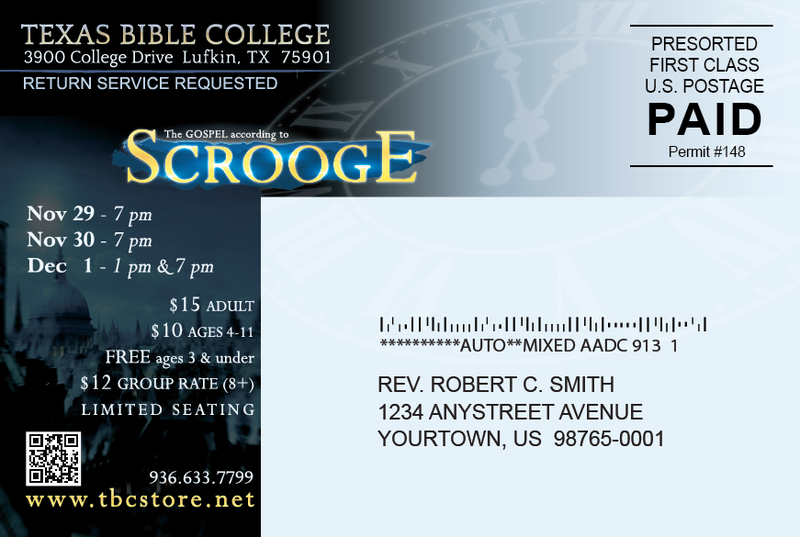 Direct mail is available to all lists, small or large. However, to save $, you need to have a minimum of 200 addresses on your list before the postage rate is reduced. NOTE FOR SMALL LISTS: If your list contains less than 200 addresses, I can stamp/label for you or have a postage paid indicia & label printed directly on the mail piece for you. Choose First-Class, Standard Mail, or Non-profit mailing options. If you are Non-Profit, you can use your permit to mail pieces Standard Mail. You can opt to receive any overs that were not used for mailing. (Example: You ordered 1,000 cards but had only 650 addresses. The remaining 350 can be mailed to you for the actual UPS Ground costs). With this option, it's as easy as 1-2-3! 1. All printed pieces are shipped to you. As of October 2012, I know offer bundling at a small cost (varies for each order QTY/size) to save you even more time! 3. The PO will deliver the pieces to every local postal customer in the route you specified. You can pay at the counter or pay the USPS online for your convenience. 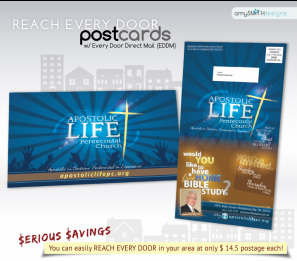 Almost all churches and smaller businesses will fall under the category that allows 200-5,000 mail pieces per day which is named by the USPS as Every Door Direct Mail – Retail®. If planning a larger mailing that exceeds 5,000 pcs per zip code, there may be just a few extra steps to take with the USPS like obtaining a permit and registering for a business account. *Check with your local post office to see if registering for a Business Account is necessary for your mailing. *for mailings that exceed daily limit of 5,000 pcs. per zip code. *When you register for an EDDM account with USPS, then you will be granted full access to the tool including paying for postage online. * Efficiently reach consumers in their homes by saturating entire neighborhoods with your message as your mailing gets directly into the hands of consumers. * You can include coupons, menus, event calendars, store maps, and more — all of which can help bring customers to your door, increasing revenue. * Flexible range of mail piece sizes (see below) , making it ideal for anything from a quick sales announcement to an in-depth product story. *product can be up to .75" in thickness and still receive postage at $14.5 each! For all EDDM products, you are responsible for setup and delivery to USPS for EDDM processing. USPS requirements for EDDM include choosing the area for mailing from the USPS system, bundling the postcards in stacks of 50-100 and labeling each bundle for the preselected route with the USPS facing slip. 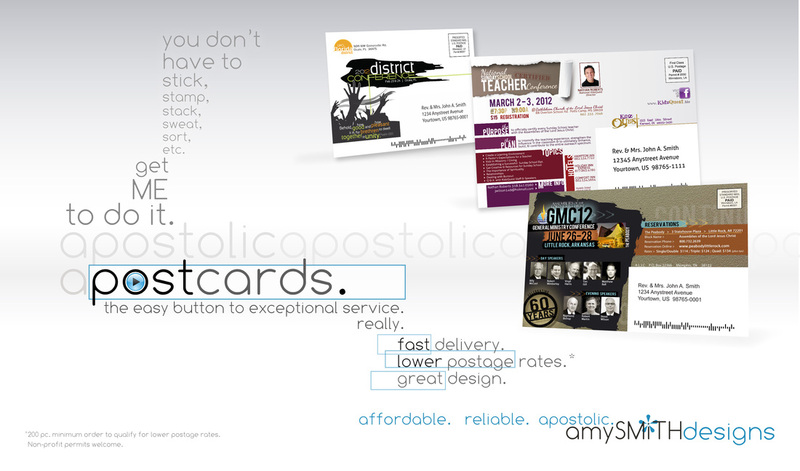 I am a print provider for mail pieces that qualify under the specifications given by this program. I am not in any way affiliated, nor do I receive compensation by the USPS for being a provider of this information. The information you are reading here is meant for the purpose of simplifying the understanding of this program so I may provide a cost-effective alternative for your church or business. Visit Every Door Direct Mail® or call the EDDM help line 1-877-747-6249.